And why the lights were flickering in the first place. The streets are littered with planks of wood and broken glass from storefronts destroyed by looters. The smell of rotting food from useless refrigerators fills the air of the city’s neighborhoods. At the local hospital, groans can be heard from patients in pain without medicine and the dead appear to be multiplying. This was Venezuela for six days in the lucky towns, and eight days in cities on the edge of the electric grid such as Maracaibo. The city of Maracaibo, about 200 miles west of Caracas, regularly experiences power outages as a result of its high energy consumption and position on the power grid. The country’s economy has struggled throughout the past few years, and hyperinflation plagues Venezuelans’ day to day lives. Food is often scarce, and basic items such as toiletries can be costly. 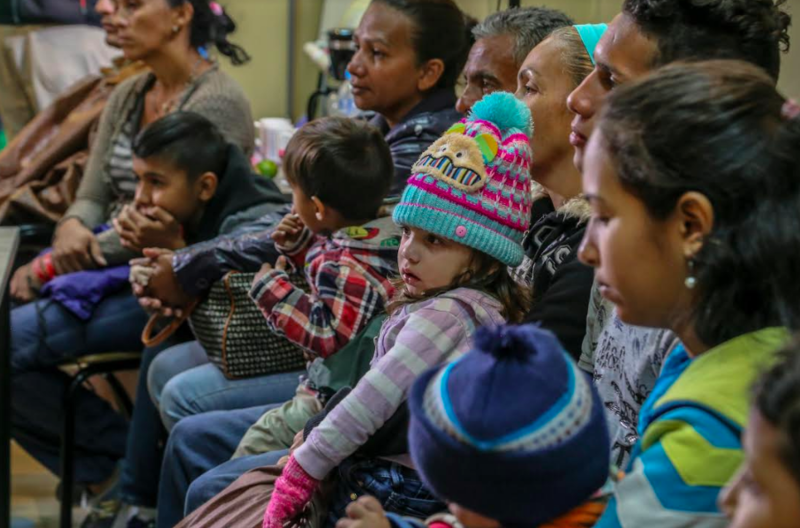 According to United Nations statistics, three million Venezuelans have left the country since 2014 when the economic crisis started to worsen. The blackout highlighted the systemic nature of Venezuela’s problems. In Caracas, citizens resorted to drinking the heavily polluted water of the river that runs through the capital. Without electricity, hospitals had problems running equipment and suffered from shortages of medication. Citizens of the oil rich country lined up around blocks waiting for gasoline. The blackout, while a nightmare for the citizens, has become a political battlefield for the two men who claim to be in charge of the country. Maduro, the unpopular incumbent, was first elected in 2013. In 2014, oil prices plummeted worldwide and Maduro failed to deal with the economic catastrophe that followed. Most of the county wants him out of office; according to a Gallup survey, 3 out of 4 Venezuelans view the government as corrupt. However, last May, Maduro was reelected. Many citizens claimed this election was an obvious fraud and took to the streets in protest. Enter opposition leader Juan Guaido. In January 2019, Guaidó declared himself interim president on the grounds that the elections were rigged. Guaidó, as leader of the National Assembly, would become interim President if the role of President was vacant. The European Union and most of Latin America recognized Guaidó as the President of Venezuela. President Trump also threw his support behind Guaido, tweeting: “The citizens of Venezuela have suffered for too long at the hands of the illegitimate Maduro regime.” The US’ recognition of Juan Guaidó as the interim president led Maduro to call Guadió a Washington puppet intended to undermine Venezuelan sovereignty. Maduro also claimed the blackout was the result of American cyber sabotage. He called the blackout an “electric war” started by “US imperialism.” But Venezuela has had problems with power since before Maduro came to the presidency. In 2010, Hugo Chavez called an “electricity emergency” after a drought caused water levels at the Guri Dam, a major hydroelectric plant, to fall dangerously low. Localized power cuts are normal, and electricity rationing comes as no surprise to the citizens. Experts say that this blackout was due to a key section of the country's national grid being taken out, possibly by a bush fire. The power system of Venezuela has also suffered from neglect as a result of years of underinvestment in infrastructure. The highest positions at Corpoelec, the state owned power company, are occupied by government loyalists. In reality, the power grid is run by soldiers instead of technicians. Many skilled engineers have joined the three million Venezuelans who have fled to countries where lunch doesn’t cost a month’s salary. More are due to leave soon, as the power still flickers on and off. According to a Gallup survey, 36% of remaining Venezuelans said they would leave if they could. This number has more than doubled from the 13% who reported they would leave before Maduro took office. Those who stay will have to deal with the aftermath of the devastating blackout. Pharmacies have few supplies, and grocery store shelves are sparse. In Maracaibo alone, vandals destroyed 562 businesses. Pharmacy owner Marianela Finol spoke to El País after the blackout. He compared the power outage to a natural disaster. “I feel like a tornado has passed,” he remarked. His pharmacy, robbed by a mob of strangers, remains in splinters. EMILY DHUE is a third year student at the University of Virginia majoring in media. She is currently studying abroad in Valencia, Spain. She's passionate about writing that makes an impact, and storytelling through digital platforms.